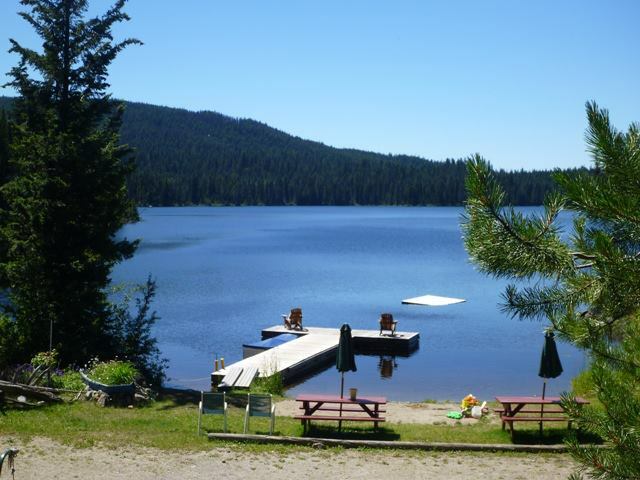 At Star Lake Resort we offer fantastic fresh water fishing for Kamloops Rainbow Trout, well known for their fierce fighting power and delicate flavour. 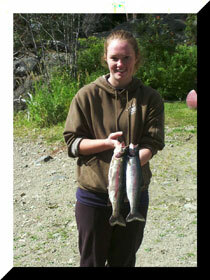 These fish average in size from one to two pounds. They will strike on a variety of lures and flies. 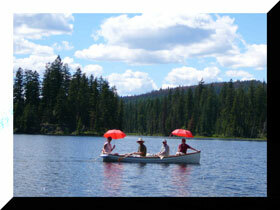 Star Lake is great for fly fishing, trolling, or spin casting. For those looking for something a bit more challenging, we have a variety of at least fifty outlying lakes - all with great fishing. Remember to bring a fishing license, as we do not sell them at the resort. In nearby Clearwater there are a number of excellent other activities available to suit all family members, including a visit to meet Clearwater's local artisans or the Saturday morning Farmers' Market. Enjoy a round of golf, or for the more courageous try some exciting white water rafting, take a power boat tour, saddle up for a trail ride, and don't miss out on a visit to beautiful Wells Gray Park. Whatever you plan be sure to bring along your camera, swim suits, and hiking boots. After a full day of activities enjoy quiet, moonlit evenings, around the campfire, reliving your adventures and planning the next day's events. 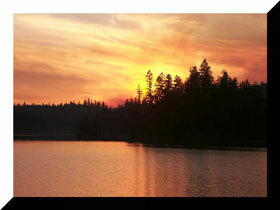 Visit us, at Star Lake Resort, and find the true meaning of a wilderness getaway.